Picture the scene.... It was breakfast time at LT GOLD's Kings and a family of four had taken their seats for a hearty way to begin their day. Getting to know his Guests, host Paul White discovered that dad was a carnivore, mum was vegetarian, the eldest daughter was vegan and the youngest sibling didn't eat much at all. Exploring the opportunity more closely, Kings - Master of the Families and Couples Niche - found that the vegan niche is very much underserved in and around the Fylde Coast. So much so that the South Promenade property now boasts that "Faringo's vegan restaurant is Blackpool's and possibly Lancashire's only exclusive vegan restaurant." 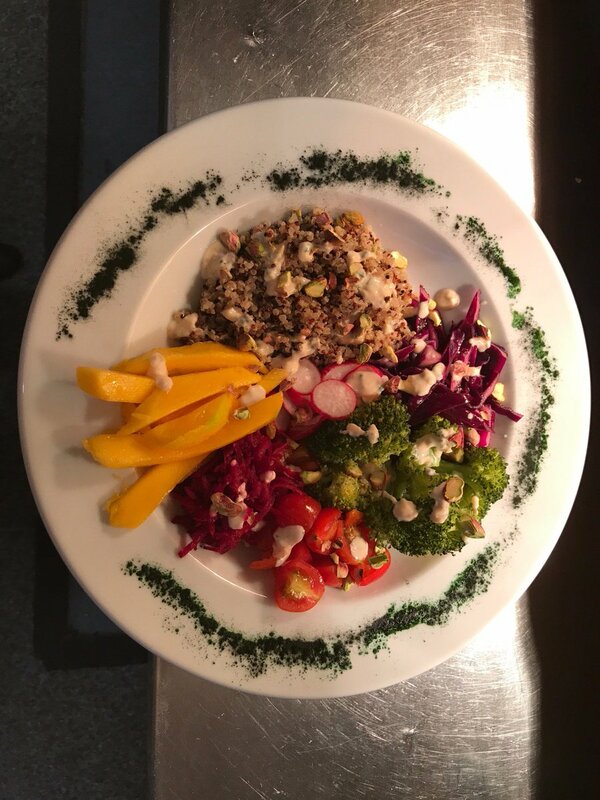 Before completely focusing on the vegan market, Faringo's had been operating for two years and the essence of the best of that time has been brought forward, with signature dishes adapted to the new requirements of everything being animal free. At first it might have been the novelty factor, but vegan Sunday Roasts have continued to prove popular too. Whatever you choose, be assured that homemade, cooked to order food is the norm. Locating Faringo's is a breeze, as when it comes to landmarks, the world's largest mirrorball is close by and it is next door but one to the Pleasure Beach's Big One in Blackpool's South Shore. If you are vegan, take this article as your calling to return to Blackpool or perhaps give the resort a try for the first time, safe in the knowledge that they'll be no dietary sacrificing when you stay at Kings. The reviews are in, it's ten out of tens and five out of fives all round for what lifestyle blogger Louise Joy has declared a "hidden gem."